After Donald Trump first put his immigration ban into effect, Iranian director Asghar Farhadi announced that he would not attend the Oscars regardless of whether or not he would be permitted to do so. 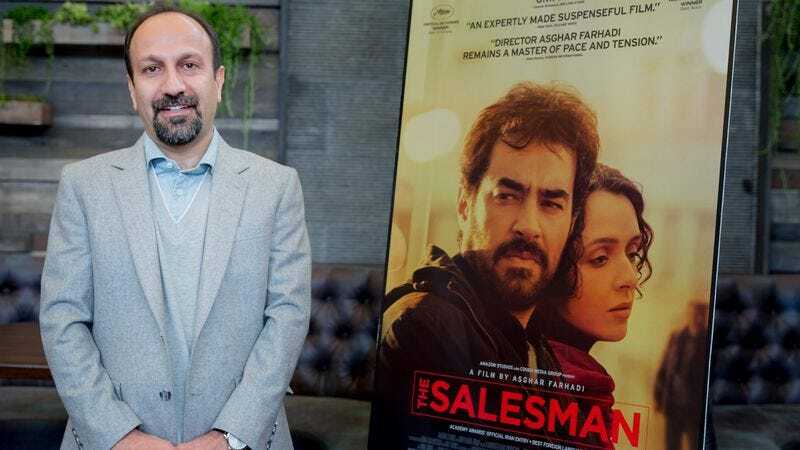 Though the ban has since ben halted by a federal appeals court, Farhadi will still not be present Sunday, nor reportedly will anyone else involved in the making of his Best Foreign Language Film nominee The Salesman. Instead, according to Variety, Farhadi’s publicist has revealed that the movie will be represented by Anousheh Ansari and Firouz Naderi, two Iranian Americans, both of whom are known for their dedication to the subject of space exploration. Ansari is an entrepreneur who earned the superlatives of “first female private space explorer” and “first astronaut of Iranian descent” in 2006. Naderi, meanwhile, is a veteran of NASA who in his time there served as director of Solar System Exploration and held other ridiculously impressive jobs. At this point, per Variety, it is not yet known whether the two will read a message from Farhadi should he win, a likely possibility. Still, their presence alone is a powerful rebuttal to the very notion of barring immigrants from the U.S. Meanwhile, the subjects of the documentary short The White Helmets, about a Syrian rescue organization, will also be at the Dolby Theatre. Update: According to Deadline, Farhadi himself is set to speak from Iran at this afternoon’s rally held by United Talent Agency in lieu of an Oscar party.